Live long and prosper…, and don’t burn your hands! 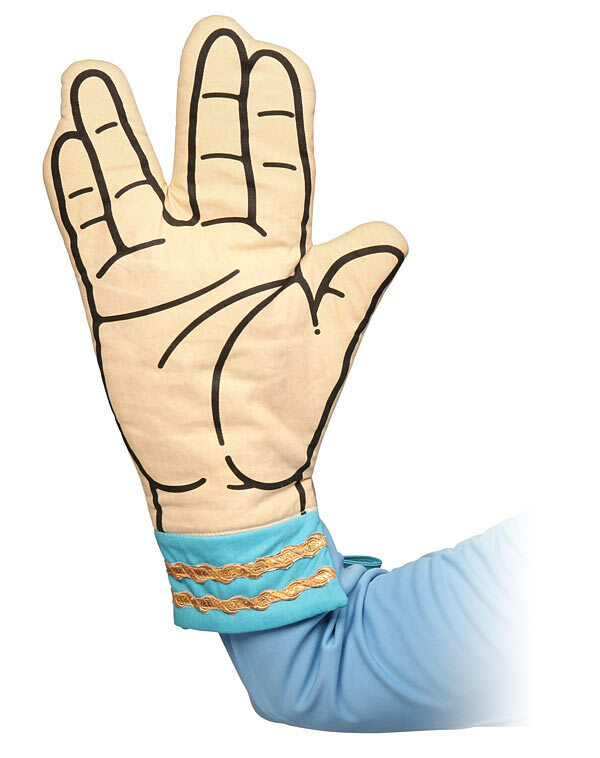 We all know that Vulcans are logical, and what isn’t more logical than protecting your hands with a super cool oven mitt. The Star Trek Spock Oven Mitt is perfect for taking those hot Klingon cookies or Ferengi brownies out of the oven. It’s designed in the shape of Spock’s signature hand greeting, and made of 100% cotton outside with 100% polyester inside.